Looking for a great deal on your next car? Try an online auto auction! Looking for a new ride? Want to search in your pajamas? We have the ability to search for anything, including vehicles, right from home. Some of the best online car auction sites curate a wide selection of vehicles both new and used. By taking part in an auction online, we're sure you'll find exactly what you're looking for, at the perfect price. If you're ready to take part in your first online car auction, it's best to be aware of what to expect. You'll first find an online auction website you trust, such as one from the list below. From there, you'll sign-up for an account on the auction website. This will include answering questions about your demographics and might even require credit card validation for funding prior to bidding. You know how much you're willing to spend. You'll want to stick with that final number throughout the bidding process. It's easy to get swept up in the moment. You know the value of the vehicle you're bidding on. Make sure you're not overpaying for a vehicle simply because the bidding price is increased. To check the website's bidding structure and rules. Check the website's rules for information, such as a minimum bid, hidden fees, etc. You'll want to be as prepared as possible prior to beginning your bid. If you manage to win the vehicle of your choice, congratulations! 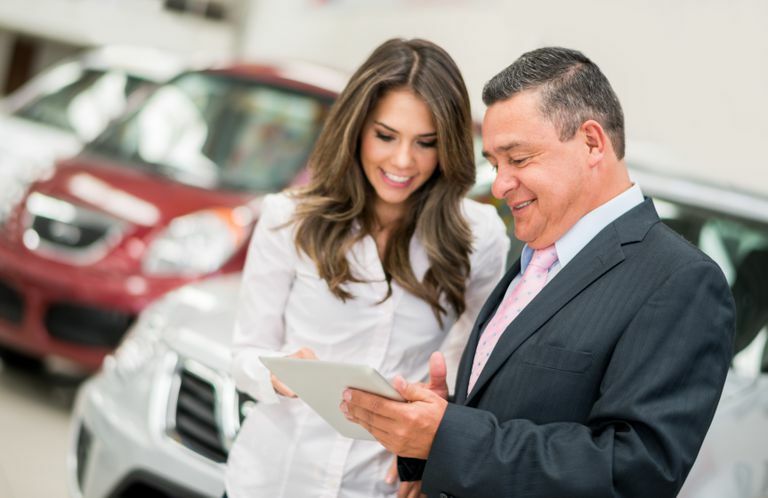 Because these auctions are closed to the public and only open to those who hold dealer licenses, you'll need to arrange for home delivery of your new vehicle. Most auction websites have specialists who prepare for shipping and delivery for you, but both, in most cases, will require a separate charge. Ready to get started? We've compiled a list of the best online car auction sites for you to start using today. This list wouldn't be complete without eBay Motors. A leader in online car auctions, eBay motors is easy to use and the best auction website for finding exactly what you're looking for. Registered users of the traditional eBay platform can use eBay motors immediately. Simply log onto eBay motors, find a vehicle of your choice and start bidding. All the same traditional eBay rules apply to eBay motors, and there's no auction fee to bid on vehicles listed. eBay Motors works just the same way as traditional eBay. The many filtering options help you find the exact vehicle you're looking for. You'll need to figure out your own transportation and shipping after the auction is won if you didn't purchase the vehicle locally. eBay doesn't do that for you. Ready to give your next vehicle some TLC as long as it saves you thousands? Salvage Bid has you covered. This auction website is strictly for as-is vehicles, often selling for as much as 75% off of retail price. To get started on the platform, you'll need to register. Salvage Bid offers a free membership which allows you to bid during preliminary bids only. You also only get to purchase one vehicle on the free plan. For $200 a year, you can gain access to the premium plan which unlocks every auction and feature on the website. To take advantage of live auctions, you'll need to upgrade. There are many vehicles in great condition on Salvage Bid that only need some TLC to get up and running again. Plus, they're extremely affordable. The premium membership will cost you $200 a year, regardless of how often you use it. For live auction bidding, a premium membership is required. Dashub is an auction website that combines salvaged vehicles with quality used vehicles for purchase. However, Dashub is considered extremely safe for those selling their vehicles. Why? Dashub requires bidders to deposit funds into their wallet in order to earn "bidding power." For each vehicle, there's an MDR or minimum deposit required. Dashub also lists vehicles that are "buy now," giving you the power to skip the auction altogether. To get started, you must register with Dashub, however, there are no sign-up fees. Dashub is easy to use and it's free to sign-up. You'll have to deposit a minimum balance into your Dashub account in order to place a bid. Auto Auction Mall provides those without a dealer's license the ability to bid on dealer only auctions. These auctions often involve vehicles listed at wholesale prices, potentially saving you thousands. There are thousands of vehicles available of all different makes and models. To try and buy a car on Auto Auction Mall, you'll need to deposit a security deposit of 10% of the amount you wish to spend. However, Auto Auction Mall's membership is free for everyone and registration is simple. If you do win an auction, you'll be required to pay Auto Auction Mall a $299 fee for their services. This is only paid if you purchase. You get access to dealer only auctions, saving you thousands off of the retail price of your vehicle. After spending cash on a vehicle, you'll be required to pay Auto Auction Mall a $299 fee for allowing you entry into the auctions on their website. We all know how important a clean title is when purchasing this vehicle. This means the car or truck hasn't sustained any severe damage and is high-quality. A Better Bid makes it easy to find only vehicles with clean titles using their website. Although they offer used and salvaged vehicles too, they separate the clean titles for easy access. A Better Bid offers free registration to browse. However, to bid, you'll pay a fixed transaction fee of $250, plus applicable fees which are determined after your purchase. The premium membership will cost you $150 annually but gives access to a discounted transaction fee, and five free vehicle history reports. It's easy to find vehicles with a clean title on the A Better Bid website. The website is simple to use and navigate. Payments can only be made by wire transfer after vehicle purchase. Residents of Florida who purchase a vehicle are also charged a higher transaction fee of $399 for premium and $499 for basic membership. Maybe you're looking for a car, or maybe you're looking for a tractor. Whatever the case may be, Purple Wave has it. This auction website is home to thousands of vehicles, including cars, trucks, tractors, semi trucks and trailers, and even construction equipment. If you're looking for something special, this is where you'll find it. The Purple Wave platform is free after registration and there are no applicable fees. However, there is a 10% buyer's premium added to the end of every purchase price to be paid along with your invoice. For bids over $10,000, you might be required to provide a bank letter of guarantee or a credit card pre-authorization. Purple Wave is free to use and only charges a 10% buyer's premium after an auction is won. It takes a bit of searching to find vehicles that are not tractors or commercial-grade vehicles. IAAI or Insurance Auto Auction Incorporated is the best online auction for the experienced. Providing services to licensed dealers as well as non-licensed buyers, IAAI makes it easy to find a high-quality vehicle. IAAI offers broker services for non-licensed individuals who wish to bid on a vehicle of their choice. As a public buyer without a license, you'll be charged a $200 annual fee for IAAI's service. You're only eligible to bid on auctions that are open to the public and on inventory available to the public only. IAAI offers flexible payment options and brokers to assist with vehicle transportation and shipping. You're only able to bid on auctions open to the public. Cranky Ape is an exceptional online auction website for vehicles of all types. Dealers and non-dealers are able to bid online after account registration. Cranky Ape does charge a $50 fee for first-time users, but it drops to $45 each year after that. Cranky Ape allows you to set an absentee bid which allows the website to bid on your behalf up to your max. The website also lists vehicles for "Buy Now" privileges, meaning you can skip the online auction and purchase directly. The fee is lower than those charging fees on this list. Dealers and non-dealers are both welcome for the same price. The website isn't as user-friendly as the others on this list. Should You Buy a Car Online From Classifieds, Auctions or Aggregators? Have wall space for that perfect piece of art? Fill it with these tips. Home need some curb appeal? Use these apps to help!